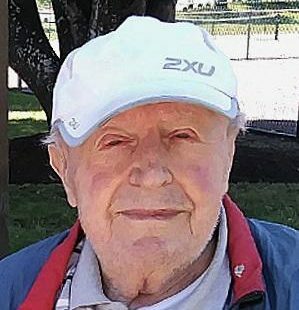 Richard Reichel passed away quietly on April 2nd, 2019 at the age of 99. He had a good run and saw much in his life. Born in Czechoslovakia, he was one of 6 children. At 19, he enlisted in the German Military, where he served his country as a tank driver and instructor, stationed in France and Belgium. After the conclusion of WWII, he went to work for the American Occupation Army as a driver and motor technician, for which he was given a letter of recommendation. In 1953, with his new wife Erika, he came to the United States on the Queen Elizabeth. After a short stay in New York, the couple ventured out west and settled in San Francisco, CA, where Richard found his first job at Hormel Foods. He learned English, and was proud to become an American Citizen. Eventually, he became an auto technician and worked for the same Volkswagen dealer from 1955 until he retired in 1982. Upon retiring, he was given a large wall clock, which is still faithfully being wound and chimes to this day. Richard and Erika came to Salem in the early 90’s to be near their only son, Robert. Richard enjoyed motorcycles until age 85, target shooting, downhill skiing, tennis, and going to the gym. When he was able, he sought out his friends often. He loved cats and dogs, and they loved him. He liked to laugh and wasn’t about making life too complicated. Richard is survived by wife Erika, son Robert, daughter-in-law Mary, and really great neighbors Josh and Jessica, Rocky, Mel and Fred. Ein beeindruckendes und spannendes Leben ist zu Ende gegangen. Vielleicht haben sich Richard und Erich im Himmel getroffen. What an amazing life he led, and what amazing things he must have seen! Thank you for trusting Johnson Funeral Home with his arrangements.